Every teacher’s dream is to have a child who is highly engaged with learning. However, this is not merely for the teacher’s benefit (even though this is intrinsically rewarding to teachers). Instead, it is primarily for the benefit of the child. A child who is alert, interested, and engaged will learn a lot more than a child who is bored, detached, and apathetic about the material. 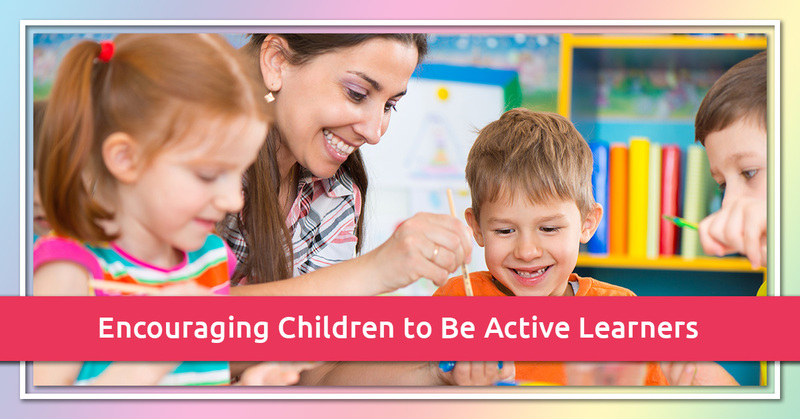 This ability to be an active learner starts in early childhood education, and it’s something that can either be encouraged or crushed by the child’s educational environment. Here at Rainbow Chimes Daycare, it is our philosophy that children are naturally active learners, and this same philosophy is reflected in the High Scope Curriculum that we use. The best early childhood learning experiences are NOT the ones where a teacher forces the children to conform to an unnatural environment (silently sitting in rigid rows). Instead, we believe that children have a natural curiosity, alertness, and interest in the world around them, and their educational environment should enhance that rather than detracting from it. How does a child’s natural active learning get stifled? What things foster a child’s natural interest and learning ability? Children who are in the right environment will be encouraged to grow in their knowledge and understanding. A child who is self-motivated to grow will almost always outpace peers who are merely surviving or getting by. Give children the chance to plan and carry out their own activities. Combine the right amount of structure with free play depending on the child’s age. Offer both left-brain and right-brain activities (analytical vs artistic). Incorporate lots of movement. Song and dance are great ways to get children moving, as well as physical education and outside time. Maximize sensory experiences. Children used to grow up on farms, where they had the chance to touch and feel many different materials, from rough tree bark to the wet nose of a cow. Now children need purposeful opportunities to expand the variety of sensory experiences they can encounter. One of our kid-tested favorites is our sand and water exhibit, where children can feel multiple textures. Ask open-ended questions—and listen. Dialogue is a great way for kids to develop their language skills. If you share a vision for developing your child’s ability to be an active learner, there’s no better place than Rainbow Chimes Daycare. Enroll your child today.